Of late, e-commerce is sizzling and entrepreneurship is at an all-time high in India. Already, it is a $5 billion market and according to IAMAI estimates, it is expected to touch $10.27 billion by the end of this year. At the last VCCircle E-Commerce Investment Forum in February, both panellists and audience had the unanimous opinion that e-commerce would be the next big thing in India and that a $1 billion business would be there in the next 2-3 years. Since then, we have continued to see more investments flowing into the sector, as well as strategic shifts, with expansion of categories, verticalisation and the well-capitalised start-ups ramping up and innovating to service the growing customer base. In fact, the future looks brighter than ever. 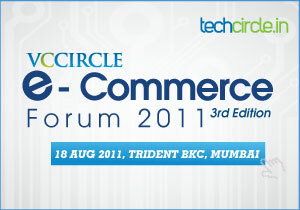 Techcircle.in, in association with VCCircle, is proud to present the third edition of VCCircle E-Commerce Forum, to be held on August 18 in Mumbai. In this backdrop, we bring you an overview of the major, recent developments in this space â€“ right from merger and acquisition and private equity fundraising to the key trends â€“ which detail how the sector has evolved and tell you what to expect. Horizontal e-com firm Infibeam.com's CEO Vishal Mehta has told Techcircle.in that by 2015, he expects an e-commerce retailer to become the largest retailer in the country, in terms of revenues. Infibeam has gone off the beaten path to become a supply chain management company and opened up its e-commerce software platform BuildABazaar to allow merchants to set up their own sites and grow the market. Rival Flipkart.com has also been painting the town red, first with its TV ads and then with high profile investors joining the board. And VCCircle was given a snappy overview of the making of Flipkart by founders Sachin Bansal and Binny Bansal in a video interview. Earlier this year, Flipkart raised $20 million from Tiger Global and it is now learnt that the company is raising $150 million in a PE round of funding from the General Atlantic Partners, in line with its target of Rs 500 crore, to be achieved by March, 2012. It plans to expand into printers, Mp3 players, televisions and audio systems. Another fast-rising star is Homeshop18.com, from the Network18 group, which has steadily climbed up in terms of traffic and notched up revenues of Rs 71 crore in the year ended March, 2011. It has recently acquired Coinjoos.com, an online bookstore, to supplement its books retail category and is raising Rs 100 crore from its existing investors â€“ SAIF Partners, Network18 and GS Shopping â€“ for scaling up logistics, warehousing and technology platform. The pull of e-commerce was too hard to be resisted by Reliance Entertainment, one of the country's largest media and entertainment companies. So, it chose to shut down its social networking and blogging site Bigadda.com and converted it into an e-commerce site called Big Adda Shop. By July, Big Adda Shop crossed Rs 2 crore worth of gross transactions per month and now, the company is planning two more e-commerce storefronts. But there are more horizontal players coming up. Indiaplaza, backed by the Indigo Monsoon Group in India, raised $5 million in venture capital funding from NEA-IndoUS in July. Another Internet group ibibo is focused on enabling a Cloud-based ecosystem on its e-commerce portal Tradus.in. However, eBay India is still at the top, selling over 2,000 categories such as technology, lifestyle, media and collectibles. It is now investing in a real-time customer support system via social media, along with mobile apps and payment processes. Daily Deals Boom Spa deals, tattoos, restaurant vouchers, tee-shirts, footwear, digital cameras, handsets, chocolates, books and pen drives â€“ everyone is heading to daily deal sites to get the best prices for all these products and more. The popularity of daily deals reached a new high in April, when Snapdeal.com announced that it had sold 30,000 deals on a single day, led primarily by mobile recharge coupons. Snapdeal.com had recently raised $40 million from Bessemer Venture Partners, NEA Indo-US Ventures and Nexus Venture Partners at a valuation of Rs 1,000 crore. On the other hand, New-Delhi based e-commerce firm BenefitsPLUS Media Pvt Ltd has been snapping up e-commerce firms â€“ first Snowball eRetail Services and then Koovs.com â€“ to offer a combination of B2B and B2C e-com in the country. It set aside $5 million for these acquisitions and now plans to carve Koovs.com into a specialised e-com play. NASDAQ-listed Rediff.com India Ltd has launched a sub-site called Deal Ho Jaye while Times Internet has launched Timesdeal.com. Mydala.com, which raised Rs 9 crore from Info Edge India Ltd in May, is adding an average of one million users per month on its group buying site. Gadgets Rock Expansion beyond services like tattoos and spa deals and a move towards lifestyle products and gadgets led to a spike in user base growth for the deal sites. In fact, products are already becoming a significant component of revenues for the sites. SnapDeal, for example, expects consumer electronics sales to contribute to 30 per cent of its business by year-end. Also, consumer electronics-focused e-commerce site LetsBuy.com had raised $6 million in its first round of venture capital funding. It had raised monies from Accel Partners, Helion Ventures and Tiger Global in January this year and immediately invested $2-$3 million in scaling up the infrastructure and improving delivery time for Indian buyers. The founders have now set a target of Rs 150 crore in revenues for 2011-12. Online Fashion Is Hip & Happening The flash sales concept was replicated in India with websites making high fashion accessories and designer wear available online. Sites like Exclusively.in, 99Labels and BagitToday, Yebhi and Naaptol Club have started drawing in the crowds with their viral referral schemes and exciting discounts on global fashion labels. In May this year, Exclusively.in has raised $16 million from Tiger Global, Accel Partners and Helion Ventures to bankroll its international expansion plans. 99Labels has found an investor in India's top Internet companies Info Edge, which runs the recruitment site Naukri.com, while Bangalore-based start-up ThePrivateSales.com has sold part stake to a private company for $5 million. Entrepreneur Abhishek Shah, who co-founded group buying platform WanaMo.com in November, 2009 (which later became Dealsandyou.com), came up with a private fashion sales club aimed at men (Fetise.com). Meanwhile, the Smile Group, which is behind Fashionandyou.com and Dealsandyou.com, has launched a third site called BeStylish.com for international, high street and regular shoe brands and targets men, women and kids. It is up against Yebhi.com, whose co-founder Manmohan Agarwal was formerly the CEO (Corporate Affairs) of Vishal Retail. Sportswear is huge for Myntra.com, which had to reposition itself into a lifestyle and 'casual brands' portal, following consumer demand. It has raised $14 million from Tiger Global, IDG Ventures and Indo-US Venture Partners in March this year. We also caught the launch of ZOVI, a clothing company which is exclusively online (there's no offline storefront) and which delivers shirts in well-branded packaging. ZOVI has raised $5.5 million from private equity firm SAIF Partners and some angel investors, such as MakeMyTrip's founder Deep Kalra. Niches Get Captured Baby care, flowers, handicraft, jewellery and home dÃ©cor are emerging as popular categories which can be stand-alone ventures. Chennai-based Caratlane Trading Pvt Ltd, which runs online diamond and jewellery portal CaratLane.com, has raised $6 million from Tiger Global Management LLC in June. Online baby products shops are also finding quick traction, especially in far-off towns which do not have access to the best toys, furniture and other relevant products. Incidentally, Firstcry.com has raised $4 million from private equity major SAIF Partners while Babyoye.com, another online retailer of baby products, has raised $2.5 million from Accel Partners and Tiger Global. Flower retail chain Ferns N Petals' e-com section is also equipping itself with a new technology platform with best-of-breed components. The company is also increasing its number of outlets, as it aims to double its revenues this year. Travel Gets Competitive Travel still contributes to 80 per cent of the entire e-commerce market. In April this year, online travel sites in India reached a peak of 18.5 million visitors, according to comScore. Indian Railways' IRCTC was the clear leader with 8.4 million visitors, while NASDAQ-listed MakeMyTrip saw around 3.9 million visitors. Cleartrip.com had 2.1 million visitors while Yatra had 3.5 million visitors. The US-based Expedia Inc. also witnessed 1.8 million visitors. In March, however, Yatra had briefly overtaken MakeMyTrip in terms of unique visitors, driven by a surge in online visitors. MakeMyTrip listed on the NASDAQ in 2010 and has shown an increased focus on the hotels and holiday booking business ever since, which is reflected across other travel operators. In April, Yatra has raised Rs 200 crore for an acquisition that will supplement its hotels business. Expedia's Hotels.com has also arrived in India to start lapping up the hotel inventory in the country and Hotels.com now offers bookings for 2,300 hotels. Cleartrip has received an investment of $40 million from NASDAQ-listed travel management solutions provider Concur for a minority stake and a marketing partnership. It has then turned to small and medium businesses to offer customised services and announced an investment of $10 million in the Middle East market. Incidentally, the Kleiner Perkins Caufield and Byers, Sherpalo Ventures, DAG Ventures and Draper Fisher Jurvetson-backed company's management faced allegations made by another online travel agency Travelocity. However, Travelocity's civil suit, seeking damages of $ 37.5 million, was recently squashed by the Bombay High Court. Via, a Bangalore-based online travel agency, is also trying to raise $100 million to expand to more countries. It reaches users in 1700 cities, through 50,000 offline and online partners in India. Most recently, MakeMyTrip and SAIF Partners have acquired a majority stake in travel meta-search engine iXiGO.com. According to the industry body Internet and mobile Association of India (IAMAI), the 2010 online travel market was at Rs 25,258 crore gross merchandise value and is growing at 50 per cent. Cautious Retailers Give E-com A Try This year has also witnessed large Indian retailers taking baby steps towards e-commerce. For instance, Tata's consumer electronics retail chain Croma has started setting up an online storefront. Aditya Birla Retail has decided to launch a pilot in Bangalore for its megastore chain â€“ The More Store â€“ driven by a 3x increase in unique visitors to the website in six months. The company plans to sell large household appliances. Globus and The Bombay Stores have made a start as well. Kishore Biyani's Future Group expects 10 per cent of the company's total retail sales from the digital medium through its portal Futurebazaar. France's Carrefour has announced that it will set up a business-to-business e-commerce portal that will connect retailers and the National Small Industries Corporation Ltd is readying a portal similar to Alibaba.com, to be launched in October. Meanwhile, upscale retail group Macy's Inc. has extended the reach of two websites â€“ Macys.com and Bloomingdales.com to India. However, delays in updating FDI norms for multi-brand retail in the country continue to be a cause for concern among e-commerce companies. Entrepreneurs Gain Confidence A website that allows you to order groceries, another that duplicates the concept of an online library and a group buying site for larger home electronics, desktops and automobiles "these are just a few examples of the thousands of start-up enthusiasts who are stepping forward this year. Developers associated with e-commerce technologies are also finding adequate number of investors. Take, for instance, Adepto Solutions Pvt Ltd, which has the social commerce platform Trol.ly and has raised $300,000 (Rs 1.3 crore) from the seed fund Blume Ventures and a consortium of angel investors led by Rajiv Dadlani. Spurt In Branding & Advertising E-com ventures are no longer tucked away in oblivion. On the contrary, they are grabbing the eyeballs in a big way. Snapdeal.com and domain name registrar BigRock (Happy Recovery Agent ad) have announced Rs 10 crore budgets on advertising. Travel portal MakeMyTrip has made a telly commercial on an amnesiac who only remembers his exotic vacations while Flipkart has chosen a fairy tale theme. Mohit Gupta, CMO at MakeMyTrip.com, has told Techcircle.in that the company's growth is driven by marketing efforts to acquire more and more customers through online and offline marketing channels. "With the Indian online audience and e-commerce reaching the critical mass, TV has emerged as an attractive media option for building the brand, as well as acquiring new customers," said Gupta. Tradus has also announced that it will spend anywhere between $150,000 and $200,000 per month on advertising and is readying a TV campaign for Diwali. Meanwhile, Yatra will invest in branding to woo users in tier II and tier III cities. Last year, the travel site has spent Rs 50 crore in various activities, including branding and promoting its offline storefronts. Global Entrants May Find It Difficult Germany's largest online shoe retailer Zalando by Rocket Internet GmbH, had to shut down its operations in India after investing in the venture for six months. In fact, global models may not necessarily work in India and need to be altered to suit the local market. The pioneer of coupon sites Groupon is also facing problems in the country as it is plagued by cyber-squatting and branding issues. Amazon's Entry To Push E-com? It is expected to cause considerable fracas in the Indian e-com space. According to Rahul Sethi, ibibo president for e-commerce, the next 12-18 months will see a "massive filtering" of players and verticalisation will be the key to success. Mehta of Infibeam believes that the entry of Amazon will grow the market by pushing companies to innovate and reach out further. For more on the latest news and views in the e-commerce industry, register for the VCCircle E-Commerce Forum and hear the top Internet and e-commerce doyens such as Ajit Balakrishnan, Muralikrishnan B, Mahesh Murthy, Vikaas Gutgutia, Kunal Behl, Vishal Mehta, Jasjit Sawhney, Percy Avari, Vani Kola and Alok Mittal talk about the learning so far, the market reality, category leaders, the e-commerce ecosystem and the finer details of running an e-commerce business and what it takes to run the long haul.